Matt Forbeck has been a bit busy over the past year. He started a series of Kikcstarters to support and promote a crazy idea: that he could write and prepare for publication one novel a month for twelve months. 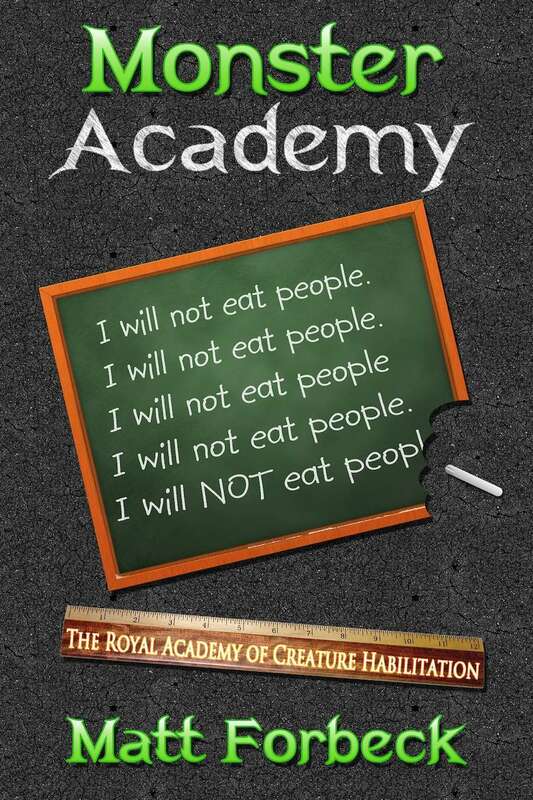 I caught up with Matt recently to ask him about one of the most recent books in that series, Monster Academy 1: I Will Not Eat People. Bill Bodden: Monster Academy is about a school for young monsters to teach them how to fit in with humans. The main character is Ruddy, a dragon who takes human form. Was there a person or persons who served as the inspiration for Ruddy? Matt Forbeck: Ruddy’s the new kid who comes to school, the one who feels like an outsider and like he’s always on the verge of getting into trouble no matter what he does. In a sense, he’s based on my eldest son Marty, who’s such a good and idealistic kid. The getting into trouble part comes from my childhood though. I spent a lot of time in the principal’s office. BB: What about the other characters – any of them based on people you know? MF: To no one’s surprise, the goblin quadruplets (Ay, Bee, Cee, and Dee) are based on my own quadruplets: Pat, Nick, Ken, and Helen. When you have multiples in the womb, the doctors label them by letters, so that’s how we knew our kids for the months before they were born: A, B, C, and D.
The quads absolutely love this, thankfully, and they like to argue about which one represents each of them and if they would really do something like their characters. 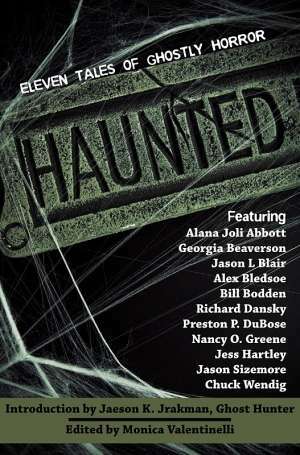 BB: Monster Academy was based on your now famous “12 for 12” Kickstarter campaign, where you endeavored to write twelve novels in twelve months. How did that work out for you? MF: Fantastic! All four Kickstarters drew in a lot of backers and were unqualified successes. However, I wound up failing at the writing challenge and didn’t complete all 12 short novels in time. I did manage to write nine of them, plus a large Leverage novel, a Starcraft II story, and nine issues of the Magic: The Gathering comic, though, plus sold another novel to Tor based on a sample I wrote. So while I failed, I failed well. BB: Knowing what you know now, is there anything you’d do differently with the same sort of crowd-funded campaign? MF: I’d have given myself more time to fulfill the rewards. I was insanely optimistic about getting all the work done. 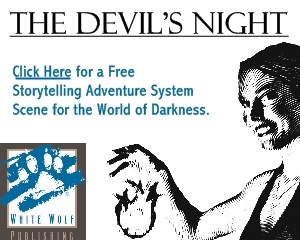 I could have written a dozen short novels in a year, but adding in the other work I did on top of running four Kickstarters and then actually producing and publishing the books themselves ate up far more time than I’d allotted. BB: Are there more Monster Academy novels in the works? Do you have a timeline for the next release? MF: Book 2 (I Will Not Burn Down the School) is in the works and should be out in a few months. I hope to have all three in readers’ hands by the end of the summer. BB: Are there plans to do a print edition of the book, or have it available in POD format? MF: It will be out in POD format through DriveThruFiction.com. I’m also chatting with some other publishers about perhaps doing print editions that will be in bookstores. BB: If you had to recommend only one of your books to someone who is reading your work for the first time, which one would that be? MF: That’s a hard question because I write many different things for many different readers. If you’re a young reader or young at heart, grab Monster Academy: I Will Not Eat People for sure. If you like science fiction, try Amortals. If you prefer urban fantasy, Vegas Knights is for you. If you like epic fantasy laced with noir sensibilities, go for Hard Times in Dragon City. If you prefer modern thrillers, hunt down Dangerous Games: How to Play. BB: Thanks, Matt! Good luck, and keep cranking out great books for us to read.